What is NZ On Cars? All about cars in New Zealand! Enter your email address to subscribe to this NZ On Cars and receive notifications by email. First impressions can often be wrong. 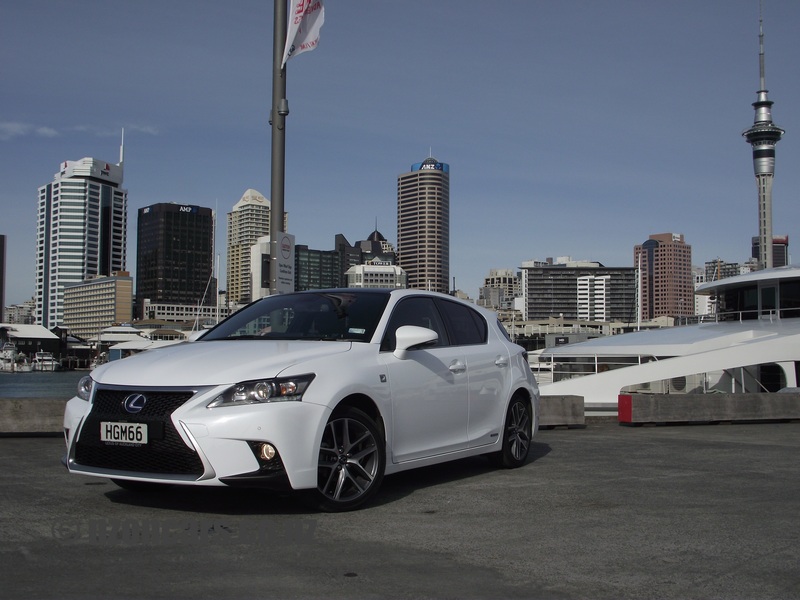 My first impressions of the Lexus CT200h F-Sport were certainly proof of that. Yes the looks of the CT200 are fantastic, absolutely no doubt about that. Sleek modern lines, tidy shapes, aggressive angles and stance. The front end styling is something special, the rear a tad chubby but still very pleasant to gaze upon. The sparkly white Nova Glass Flake with Onyx paintwork stunning.